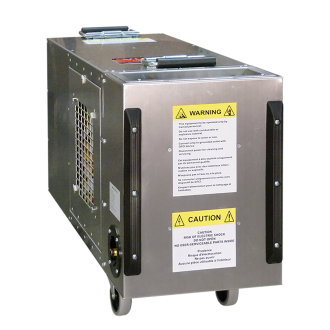 The Vulcan RT heater electric heating system is the most compact and powerful structural drying machine available. Vulcan is loaded with 37,000 BTU’s of heat power, precise temperature controls to use it safely and efficiently. Restoring structures after floods and water damage is a constantly evolving industry. In addition to keeping up with industry best practices for health and safety of both the contractors and the building residents post restoration, it is also important to be working with modern and reliable restoration equipment. Utilizing Omnitec Design’s Structural Drying equipment will allow you to take advantage of the latest best-practice methods with products you know will work reliably and safely. 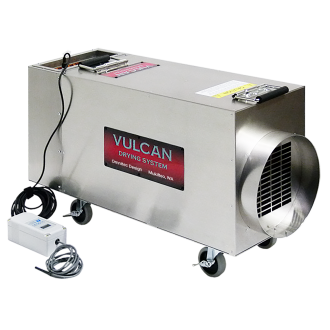 The Vulcan RT model can deliver 180⁰ F hot air with a temperature rise of 95⁰F at 350 CFM. Vulcan RT can operate in 140⁰ F hot environment. 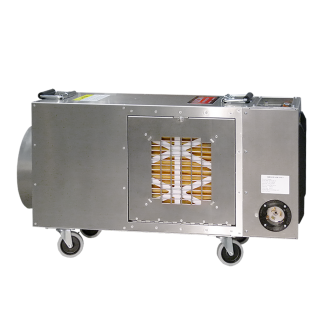 Vulcan RT heaters generate 37,000 BTU output with 6 individually controlled heating elements. A single speed, high pressure blower provides airflow of 475 CFM. Remote, programmable temperature controller with RTD probe can measure air or material temperature 23 ft away for an efficient and safe heat control. Highly portable with a compact, 30” long, 11”wide, 18” high housing, 63 lb. weight, and 3” locking casters. Vulcan RT heaters are built to perform in tough construction environments and are easy to maintain. 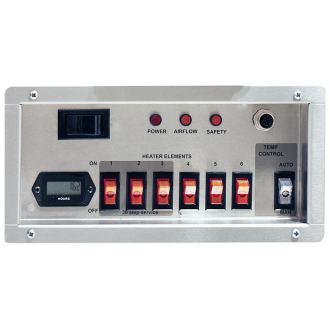 Vulcan meet UL, CSA and OSHA safety standards and are tested by TUV labs.